Gale Courses are available through the Monarch Library System Catalog! Learn something new for free! The Monarch Library System provides all patrons in every member library the opportunity to engage in learning through Gale Courses. This online resource provides access to classes on multiple topics of interest, including career training programs. If you seek deeper knowledge of areas from A (Accounting) to W (Writing), Gale Courses has something for you. We hope you consider exploring the offerings for personal and professional development. You must have a library card from a Monarch System library to enroll. 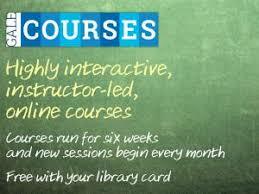 Click here to access the Gale Courses.